Avant Toi is classic yet versatile, which allows for not only a multitude of occasions, but transforms with the wearer’s style. 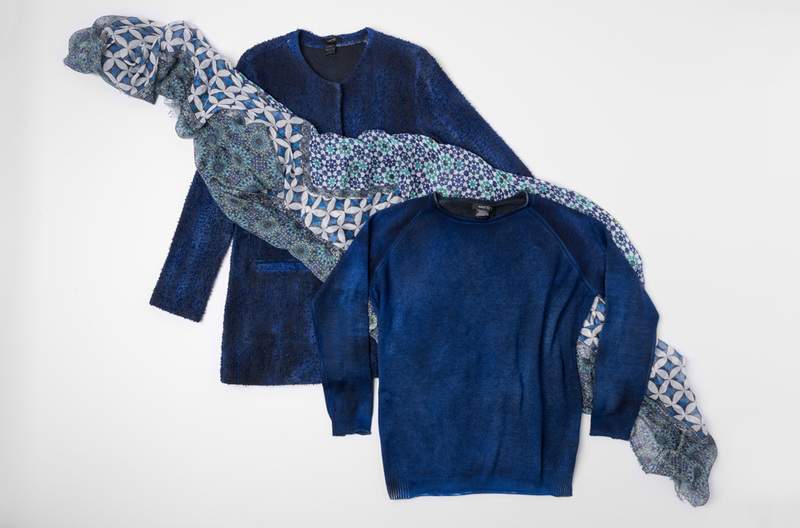 The Avant Toi cashmere/silk sweater in a vibrant and deep blue layered under the Avant Toi linen/cotton jacket in a matching blue has elegant depth in dye and intriguing texture. The geometric designs in Som Les Dues scarves finishes the blue ensemble.